In almost every house's primary bedroom, and at times even in the dining room, there is one thing that is pivotal to its decoration: a calendar. We know this might be a bit shocking but let's just analyse this. When was the last time you looked at your calendar without even realising it? Probably today, right? Well that's how important calendars are. They form an essential part of our lives and we do not even realise that soon; to us, it all happens so inadvertently. But, hanging a calendar is a tough job (and we don't mean to focus on the hardware stuff); choosing the right calendar for your house is as much essential as is picking out any other object for it. The right kind of calendar will only add to the room's overall outlook and a wrong kind will act as a runt in the room, and nobody wants the latter option. 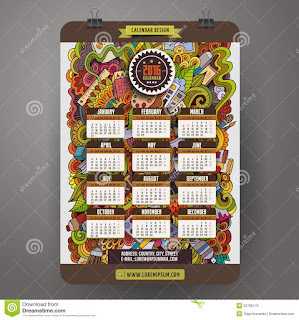 So, given below is a list of calendars you can consider for putting up in your house and when you take a look at them, you will realise how artistic these calendars are, that they will not only tell you the date and day, but also form a good contrast with your home's decor. 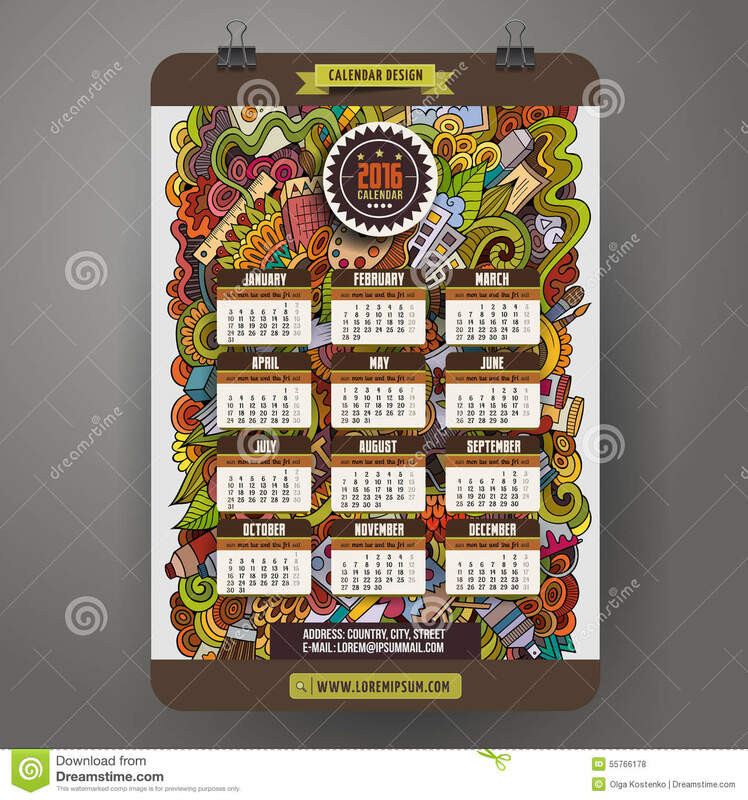 In all likelihood, your room has probably been painted with paint and not decorated with wallpaper, and even if it is decorated mostly with wallpaper even then it will work well, if you use this idea for a calendar. The water colour effect on the calendar gives it a nice edge and makes it stand out of the other mundane calendar designs. The popping effect of the colours add to the brightness of the calendar, making it blend in easily with the hue of your room and give it a unique touch. Are you a lover of art? Are you a fan of the artistic paintings by acclaimed artists like van Gogh? If so, this idea is perfect for you. 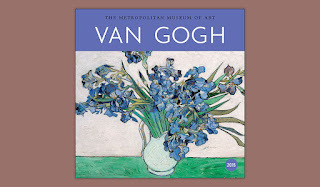 As is evident from the photograph, the calendar exudes a nice, elegant touch to the interior of the entire room; also, it will readily showcase your fine taste in art and other suchlike works of art. Further, the calendar will easily make an outstanding appearance in front of the visitors due to its delicate shade of colours, the varied strokes of brush, and the fineness of the entire painting. 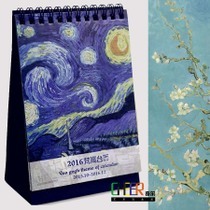 We all love to hang such paintings on the wall, then why not give them a chance to be a calendar? 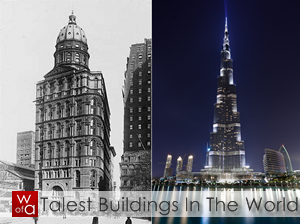 The Romanticists knew it best: nature is to be loved by all and sought out (for inspiration) by all. 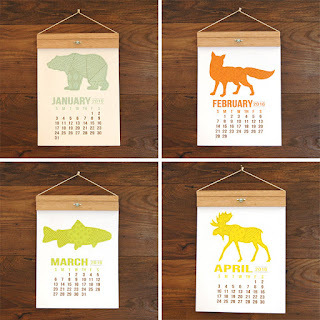 This calendar helps you showcase your nature-loving-wildlife-embracing side in an artistic manner. The presentation of the pulchritudinous animal silhouettes on a soft background eases the effect on your eyes and lets you take in the entire design without having to bat another eye, and thereby, making the calendar slip in easily into the larger image of the room, whilst presenting your artistic side to the visitors. Not only this, the calendar also displays your love for the natural elements/creatures of life, and presents it in a eulogised manner. What better way to start your day than by doing so with nature in front of your eyes? Plus, people pay a whopping sum of money for this but folks, you can get a quasi version of it through this calendar. So there's that as well. No, we are not talk about the mathematical functions here, we are here to talk about the employment of maximisation of utility (and, art) by the minimisation of the size of the letters. How do we do this? 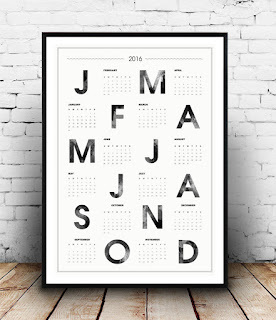 Well, as is evident from the photograph above, the perfect choice here is to go for a minimalist calendar, with eye-popping initials to create an equally pungent contrast. By doing so, your calendar's utility can be increased, that is to say, by doing so, the calendar will blend in easily with its surroundings since it will have a neutral effect on the whole, and also, it will advance the artistic qualities of the room, since the calendar in itself is quite artistic and that will only concord to the rest of the room's decor. The basic idea here is to focus on the calendar in such a manner that it catches without much of an effort. 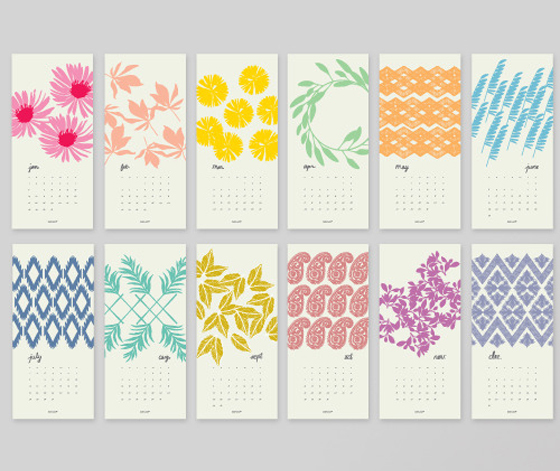 This calendar will ably solve that issue by the use of its neatly contrasting design. 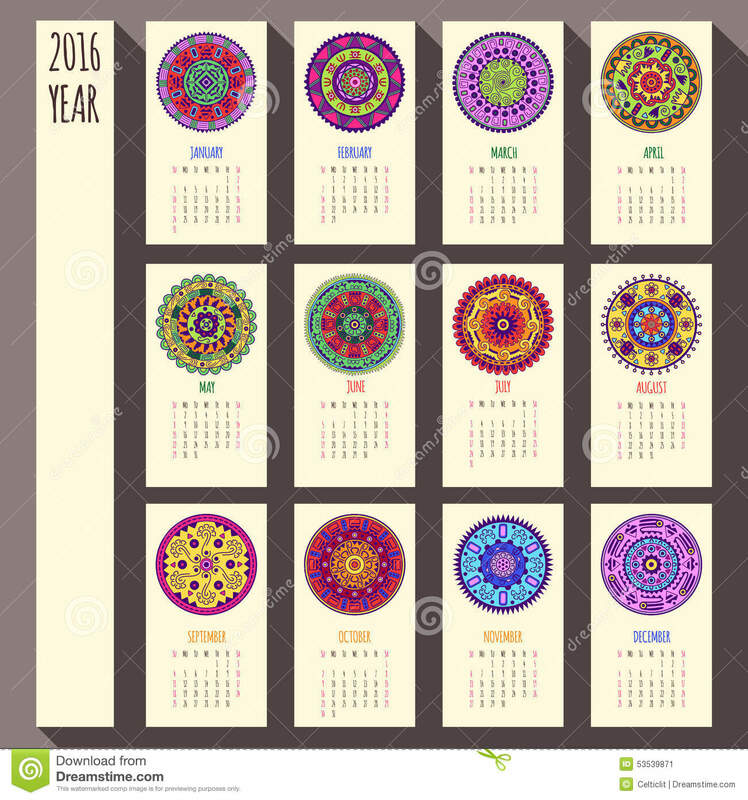 Many of us are fond of vibrant, energetic and bright-as-a-sunny-day colour(s), and this calendar here will work to cater precisely that need of ours. The calendar, too, is minimalist but unlike the previous's subtle quality, this one will have a much more striking quality due to its lively colours. But that's only for the best, right? The lively colours present on the calendar will give a warm, hearty touch to the entire room and work its way through to your heart in no time, all the while, not even trying too hard to do this. 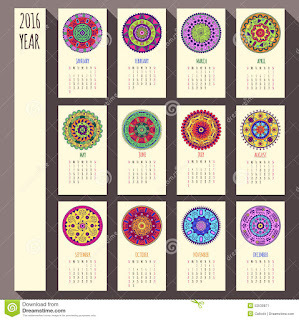 Such calendars are easy to look at and equally easy to use since they do not add any gaudy feeling to the interior of the room. 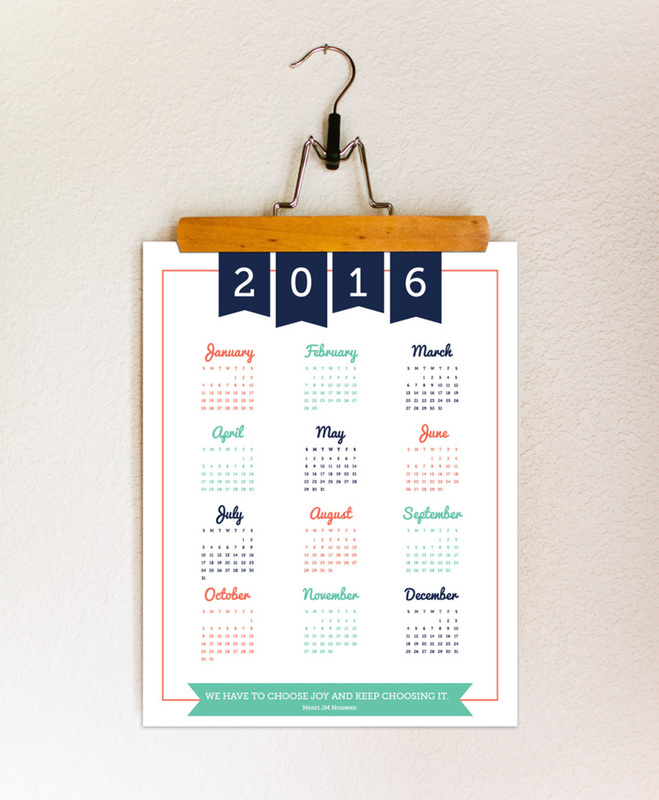 We say, why not make a go for this lovely sprite of a calendar! Remember that game Doodle Jump? Remember its cartoonist touch? Appealing, wasn't it? 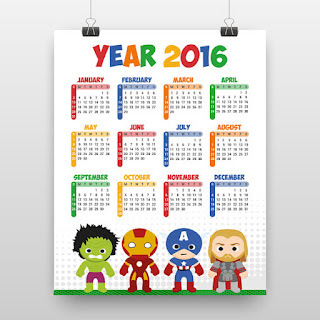 Well, this design does the same for your calendar. Not only will it present to you the day and date, it will do so in one of the most artistic style. The cartoonist touch, the mixture of the colours and the elegance with which the patterns are drawn, all accentuate the rudimentary effect it has on an individual's eye and also, fortifies the fine decor you had created for your room. Although the choice may seem a bit bold at first, but if you love the contemporary graphic design, this design is what you seek for. Love them ethnic patterns and mosaic designs? 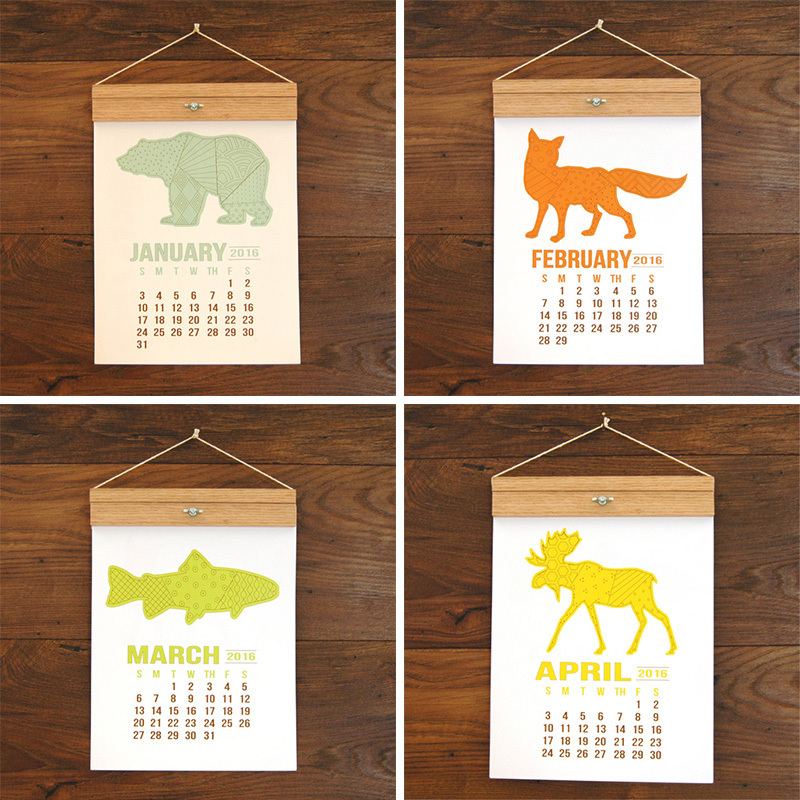 This calendar is your choice! The traditional patterns, the designs and the shapes, all concord to the ideal idea of what we term as the ethnic design. The shapes and patterns will add a certain different aspect to the entire room's outlook and will easily blend in with the primary shade of the room, be it bold or soft or neutral. The main thing to take heed of in this case, is that the patterns should not be so bold as to come off as gaudy, so the patterns' size should be big enough to complement the size of your room. Your favourite superheroes are now here to inform you of your appointments. Don't be late, people because "with great power comes great responsibility". Isn't this just so cute? The basic idea here is to showcase your art loving side, that's the side where you keep your favourite fictional characters and if you love to visualise them as cartoon characters (looking at you twentieth-century comic cartoons), this calendar is bound to make you fall in love with it. Not only will this calendar help provide a light ambience to the room, it will also display your art-loving, imaginative, childlike, literary side. Yes, it's deep. To add the cherry on the top, the design is ideal to be used in a child's room or in an imaginative mind's room because fantasy and comics have been an escape for us form time immemorial and here is our chance to utilise it for the purpose of a calendar. Sometimes simple is the best way to go, and this design will achieve just that. Ever seen those beautiful rooms, wherein three walls are of a neutral colour and the fourth one is textured? 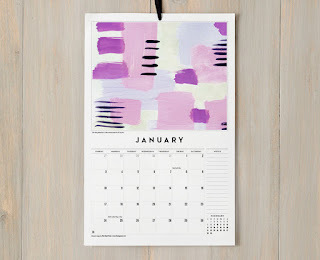 This calendar will accentuate that effect to the extent that the overall interior of your room will only be fortified. The soft effect of the colours, the elegance of the design and the peppy hues, will easily blend in with the decor of the room, and will contribute to the texture of the wall. Go for this design if you think your room's wall could go for a textured design. And there's one for every month! There you go, folks, nine different ways for you to hang a beautiful and artistic calendar in your room, that not only serves its basic function but also, further your room's decor, enhance the interior and that too, without making a gaudy show of it. 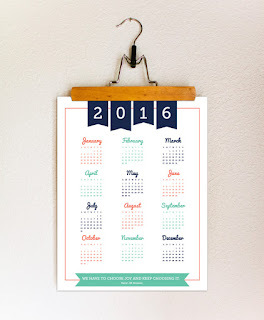 Use these options to improve your room's decor and to intensify the look of your calendar.